Whether you are looking for a more personalized program, specialized sports training, or just need help getting started, we can help. To sign up for any of the following Fitness Services, or for more information, please stop by or contact the Fitness Centre Desk at 902.490.2580. Join us for this complimentary general fitness facility and equipment orientation. You will leave feeling comfortable to complete a great workout by yourself, with a friend, or in a group exercise class. Cardio/Hoist Circuit – Target heart rate, key abdominal exercises for a strong core and flexibility are discussed. You’ll also learn the ideal number of repetitions and sets as well as the proper settings on the HOIST Roc it Circuit system to meet your goals. 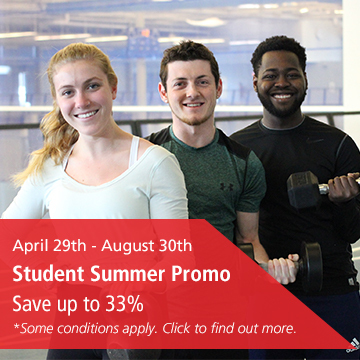 To sign up for a Simply Fit session, call us at 902.490.2580 or stop by the Fitness Centre Desk. Thinking about personal training? Try this package on for size. An Exercise Specialist will measure your following components: body composition, cardiovascular fitness, muscular strength and endurance, and flexibility. The data collected will be used to create a personalized program that will help you reach your fitness goals. What are you waiting for – it might be the best decision you’ve ever made for your health. Give us a call at 902.‎490.2580 to book your session or to talk about options.